As a clothing designer, we vie for becoming a known personality among our target audience. When you set out to do just that, it is harder than it looks. Other clothing designers make it look so easy, but if you ask them, you will learn that even they struggled to make themselves known to their target audience. To elevate their presence, each one of them has done something that makes them different from you and others. For instance, they have developed a trademark design – one you will see in retail stores and instantly associate it with them without even reading the clothing tag. Like them, you want to make your presence known, but you do not know how to go about it. First, let’s look at the ways they have done this. They could have created a logo that they add to every piece of clothes they design, use specific color combinations or patterns, cater to a niche target market, or create certain types of designs and cuts. You can do the same! You can create a logo, focus on using similar colors or patterns, find your target market, and only create specific types of cuts and designs. You can choose more than one method, but execute the method using sparkly beads. Why Should You Choose Sparkly Beads? Sparkly beads added to a piece of cloth in a certain pattern can make your personality shine through to your target market. The thing with sparkly beads is that although you will find them on clothes, each clothing designer would have laid them out differently on clothes. This is because there are an endless number of patterns you can create using sparkly beads such as faceted beads and rhinestones. 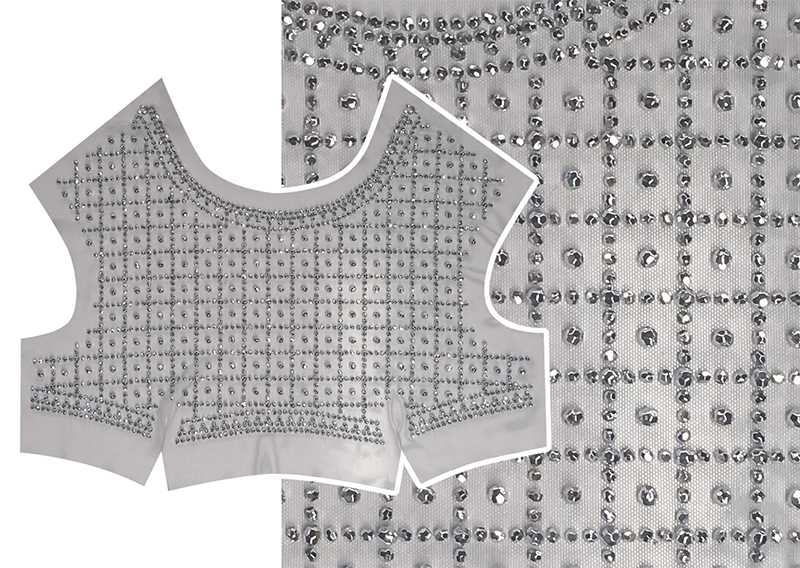 You can come with a pattern that is all your own, and USA Beading can help you create it! We have access to lots of different types of beading, and thanks to our patented beading technique, we can add beads to your clothes quickly and seamlessly. How Will Sparkly Beads Personify Who You Are as a Person? If you put sparkly beads on clothes in an elegant manner, meaning not too much, but not too little either, you are a simple person. If you put a lot of sparkly bead on clothes, you are a sociable person. Given, this is not true always, but it is true when you think of designs, as they come from a place you can relate to. They are not random. When you think of the pattern, color, and type of beads to add to your clothes, the ideas you come up with will be unique to you, meaning there’s an underlying reason behind them. Why don’t you sit down and think of the pattern, color, and type of beads you want to place on your clothes? Write them down and next to it, think of why you came up with it. You will realize the reason has to do with who you are as a person. Once you have thought of designs, send them to USA Beading, a New Jersey based domestic beading company.